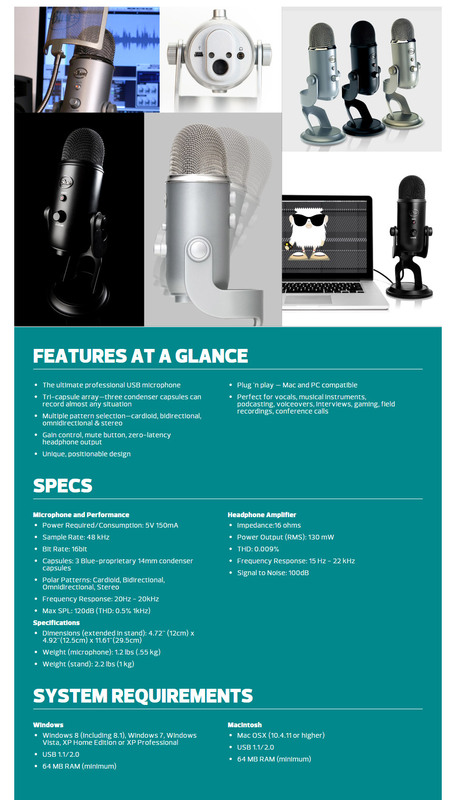 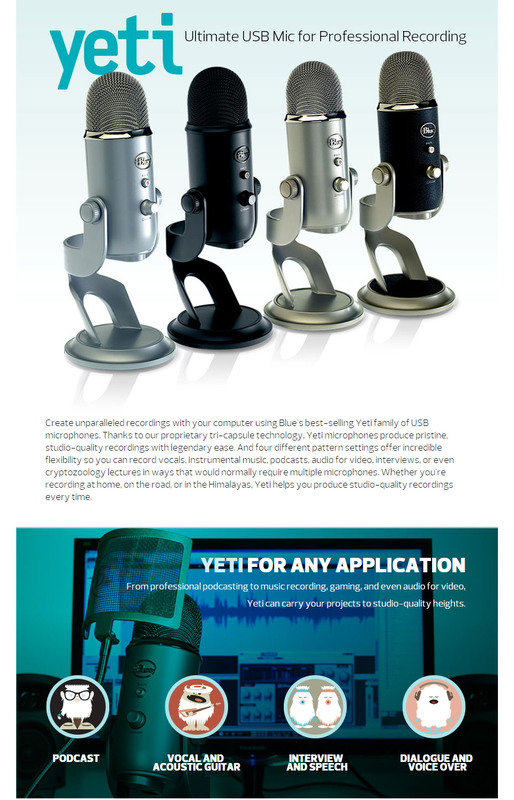 The Yeti is one of the most advanced and versatile multi-pattern USB microphones available. 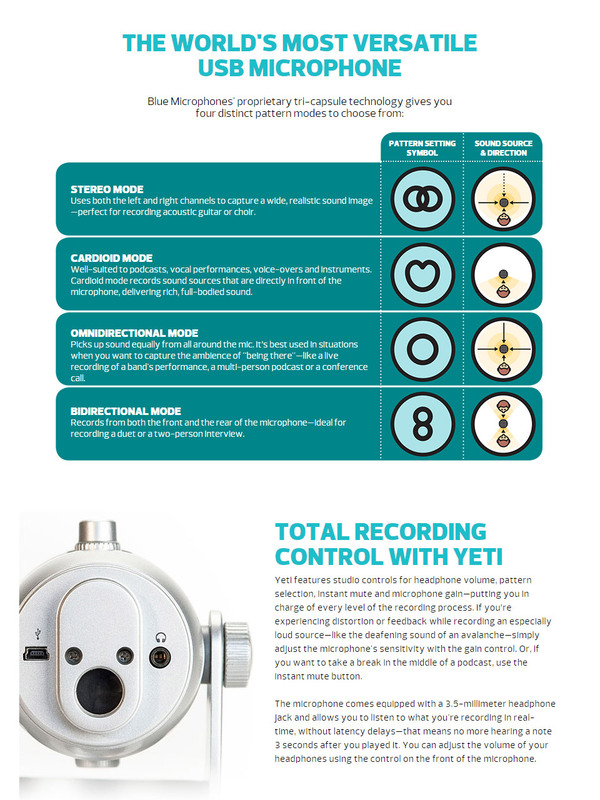 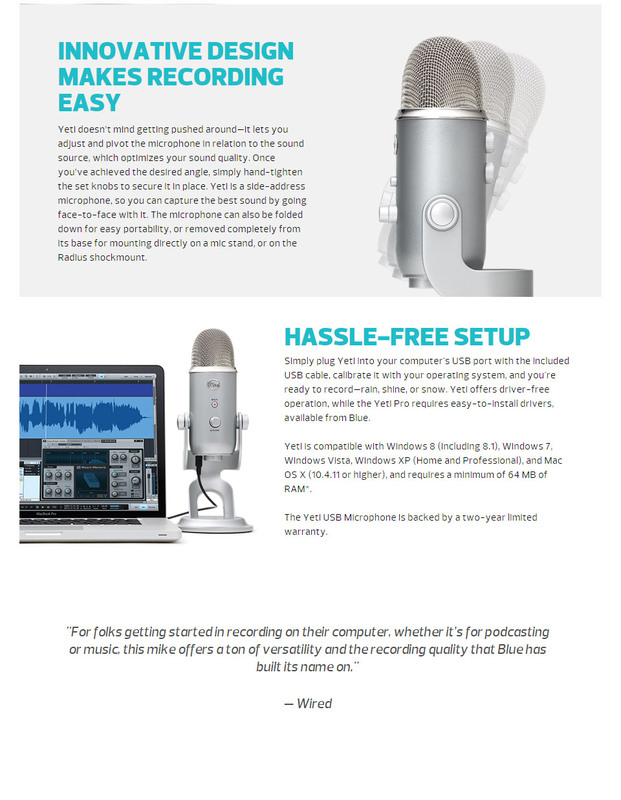 Combining three capsules and four different pattern settings, the Yeti is an ultimate tool for creating amazing recordings, directly to your computer. 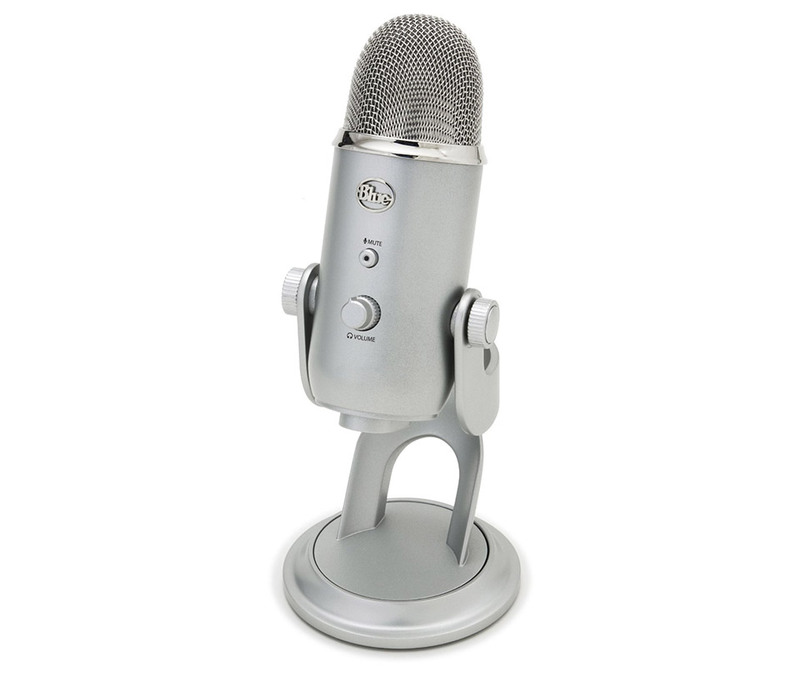 With exceptional sound and performance, the Yeti can capture anything with a clarity and ease unheard of in a USB microphone.